Motorola Moto G4 and Motorola Moto G4 Plus both receive FCC clearance? 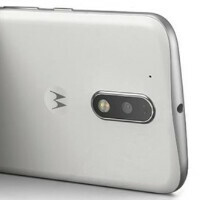 With the Motorola Moto G4 and Motorola Moto G4 Plus both expected to be unveiled on May 17th, two unnamed Motorola phones recently received certification from the FCC. The pair are most likely the Moto G4 and Moto G4 Plus. The FCC documentation listed two model numbers, XT1622 and XT1642. Considering that the U.S. version of the third generation Motorola Moto G was the XT1540, the odds favor that the FCC did give its thumbs up to the next-gen Moto G handsets. Interestingly, another image on the FCC site showed that one of the phones will have a measurement of 153mm x 76.6mm. That would be in line with the last-gen Moto G which weighed in at 142mm x 72.4mm. We should see a 5.5-inch screen on the Motorola Moto G4 with a 1080 x 1920 resolution. A Geekbench test that we told you about earlier today revealed that a Snapdragon 617 SoC will be driving the Moto G4 with 3GB of RAM inside. The Moto G4 is expected to feature a 13MP rear camera while a 16MP camera should be on the higher-spec'd G4 Plus model. Both will have a 5MP front-facing snapper for selfies and video chats. Last year, the third generation Moto G became the first in the Moto series to be fully submersible with an IPx7 rating. Motorola had typically used a nanocoating from P2i that protected coated devices from light rain and spills. Will the new Moto G4 also carry an IP rating? We should find out this coming Tuesday when Motorola holds a media event in both New Delhi and Mexico. The FCC certifies the Motorola Moto G4 and Motorola Moto G4 Plus? Eagerly waiting for " moto x force 2"
Moto G4 or Moto G4 Plus will have USB type-c?